Despite the rejection of New Jersey’s 2017 fluke fishing regulations by a federal board, the season will open Thursday as planned, inclusive of the size limit decided upon by the state Marine Fisheries Council. The Atlantic States Marine Fisheries Commission rejected the state’s adopted regulations: a season running May 25 through Sept. 5, during which time anglers can keep three fish per day and 18-inches or more. The ASFMC proposed regulations that would have likely raised the legal size of a keeper fluke to 19-inches. The state has said it wants to protect its multi billion-dollar fishing and boating industry, as well as the fishery. Had the proposed federal regulations been adopted, more fish would have died from being thrown back in the water than from being taken for the kitchen table. Additionally, researchers have found that fish larger than 18-inches are almost always female, cautioning that targeting just one gender of fish for harvest could be detrimental. New Jersey DEP Commission Bob Martin said the 18-inch limit, with a low bag limit and short season, was effectively equivalent to the federal government’s call for a 19-inch size limit with a longer season. 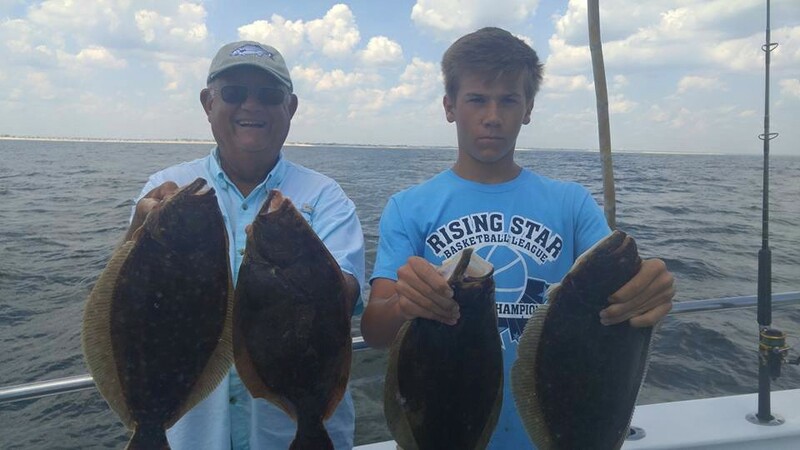 Despite a motion by the ASMFC’s Summer Flounder Management Board on Monday to not accept New Jersey’s new rules, the state’s summer flounder season will remain as scheduled. Any possible federal non-compliance decisions would first need to be voted on by ASFMC’s Policy Board and the full Commission before a finding of non-compliance is sent to NOAA Marine Fisheries for consideration. Politically, fishing advocates believe President Donald Trump’s appointees to the Department of Commerce, which oversees NOAA Fisheries, will be more sympathetic to anglers than those appointed during the two terms of President Barack Obama. It was expected from the beginning that the ASMFC would find New Jersey out of compliance, sources said. The minimum size limit this season will remain 17 inches for Delaware Bay. Each angler may keep three legally sized fish caught from the bay each day. The Shore-Based Enhanced Fishing Opportunity Program at Island Beach State Park in Ocean County will continue with a 16-inch size limit and two-fish per day, per person possession limit. This program was set up to assist the Division of Fish and Wildlife in its summer flounder research efforts.